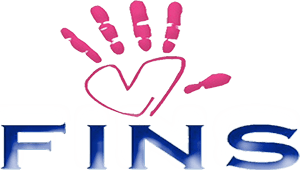 FINS was created because everyday in our very own community people need help. Some may only need help with groceries, their light bill, car insurance. Some have a tragedy that completely turns their world upside down. I’ve personally seen families that have lost everything because of an accident, a hurricane, a fire, or even a car accident. Others have had medical issues with either themselves or their children and no way to get the help they need. The FINS organization was organized to be the place that people can come to when they need such help. There are hundreds of people that need help right here in our own back yard. Bill Alcock (Founder/President) goal is to develop team FINS, which will consist of people willing to donate $25 per month so we have a base dollar amount to help who we can. The plan will include having 325 team FINS members by the end of 2014, which will give us a base of a little over $8k per month to help those in need. The cost to run the FINS organization is less than $500 per month for rent, electric and phone and we are staffed by volunteers who dedicate their time for free to help others. FINS will also be scheduling varies fundraising events throughout the year to increase our donations. Our goal is to have a FINS organization across the country, in every major city possible, with the belief that a little bit from everyone can make a big difference to someone. We have recently raised over $7000 to help deter medical cost for a woman that was perfectly healthy a year ago and was diagnosed with breast cancer just recently. In an eleven day period, we raised $5200 and over 150 teddy bears for a 6 year old girl who in may was perfectly healthy her whole life and then in mid-May began having migraines and seizures due to epilepsy. She then donated a teddy bear to each child in the hospital, to brighten their day. We recently raised $700 dollars for a family who’s brother had passed and didn’t have the money to have him cremated.